These stand alone units are ideal for providing transmitted illumination away from the more traditional light base stands of stereomicroscopes. Particularly recommended for our range of long arm stereomicroscopes. The units consist of a square light base measuring 100 x 100mm in the smaller and 200 x 200mm in the larger unit. Each has a translucent surface that give a very even field illumination. 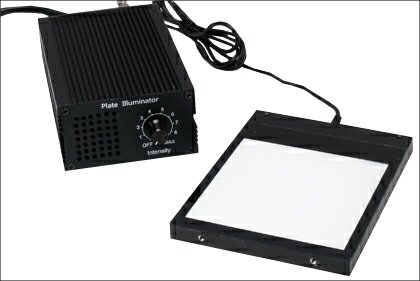 Internal LED light source which is powered by a separate transformer box. 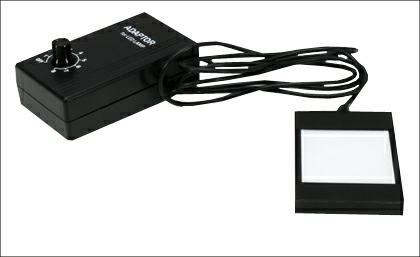 The lighting units have full rheostat brightness control.